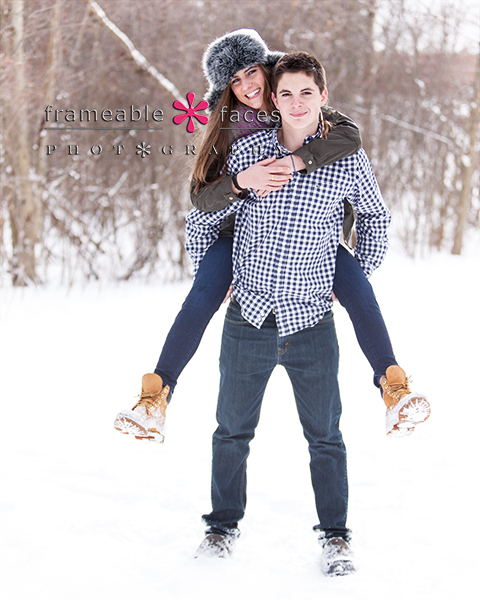 Twin High School Spokesmodels Claire And Ethan! 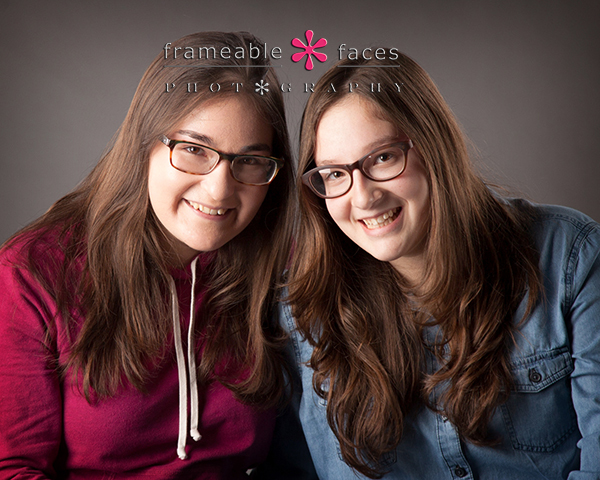 We have photographed several pairs of twins for high school senior pictures and every single time it has been memorable! 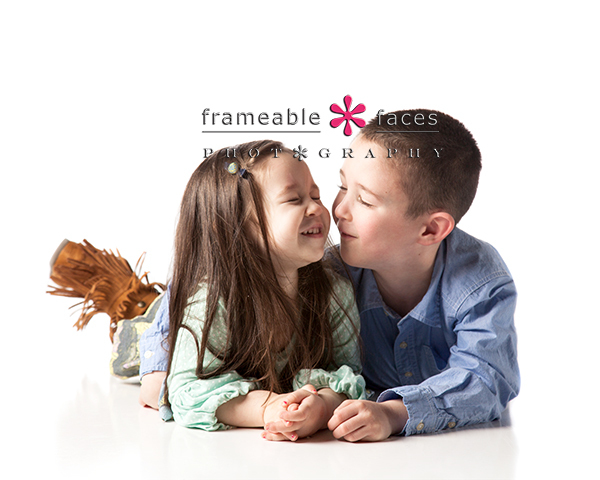 This is the first time we have had twins representing our studio as spokesmodels and we are so pleased to have Ethan and Claire on board. What a couple of outstanding kids. 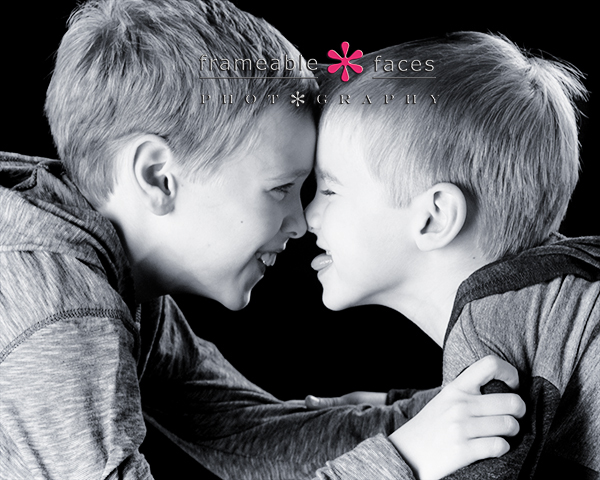 A twin session obviously takes longer than an individual, but it didn’t really feel like it – time flies when you are having fun! 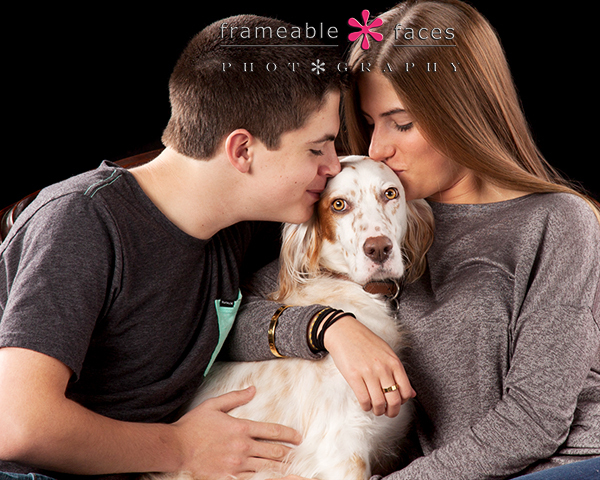 Their spokesmodel shoot had a little of everything including Maggie – their pup! She was a well behaved doggy and she was ready for her closeup as you can see. Claire Goatley, Ethan Goatley …& Maggie!!! We like the white on white look – as long as it’s lit properly it works. 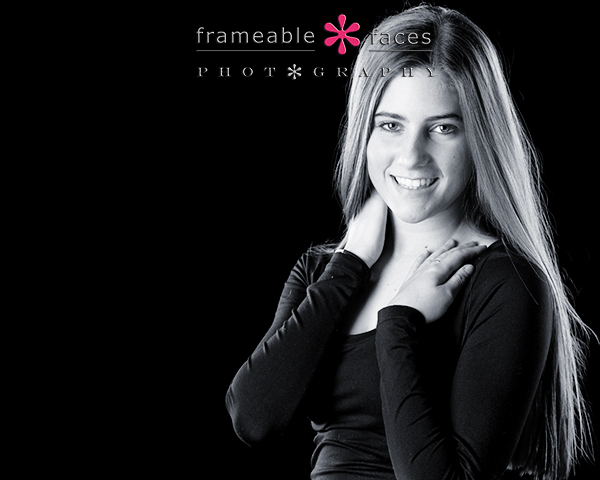 Next we have the black background and the black and white has a little bit more of a dramatic effect. Claire looks great! Now let us move on to Ethan! 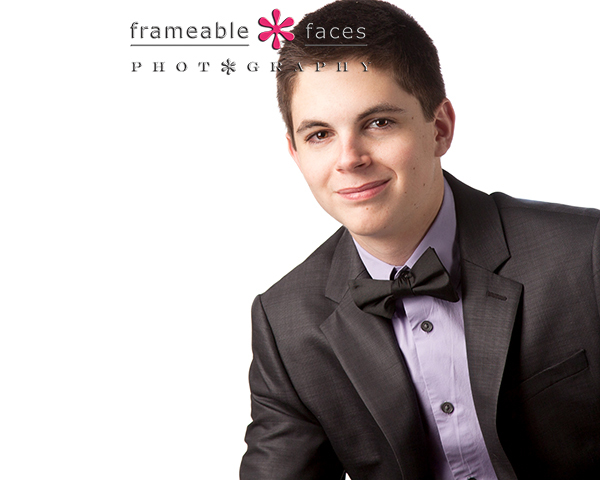 So, would it be bad if we made it mandatory for all high school senior guys to wear a bow tie at some point during their sessions? 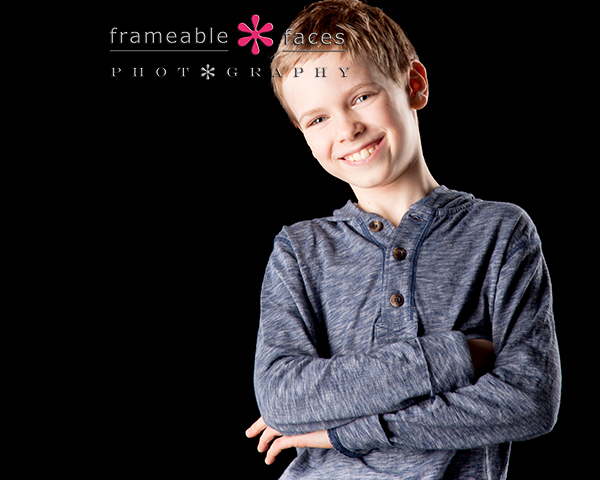 Ethan rocked it – we think it’s pretty cool. Next we broke out the heavy metal… ha! We like this for a casual edgy look. Graphic tees or hoodies seem to work well with the silver. 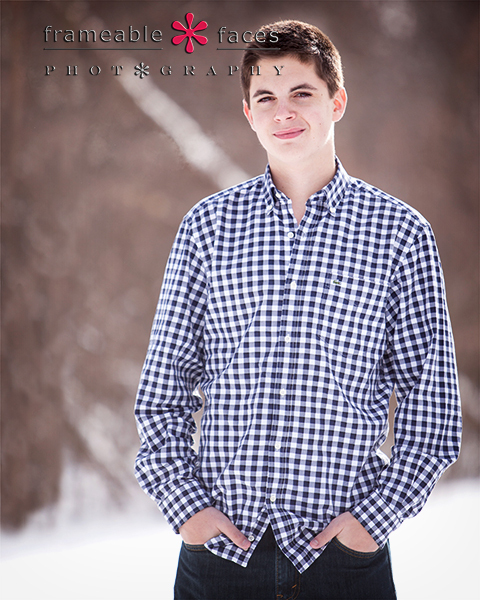 Lastly let’s go back to the individual snow shot – we love the way all of these turned out! We hoped you’ve enjoyed viewing these even just a fraction as much as we enjoyed making them! Capturing Family Portraits Before The Next Chapter! 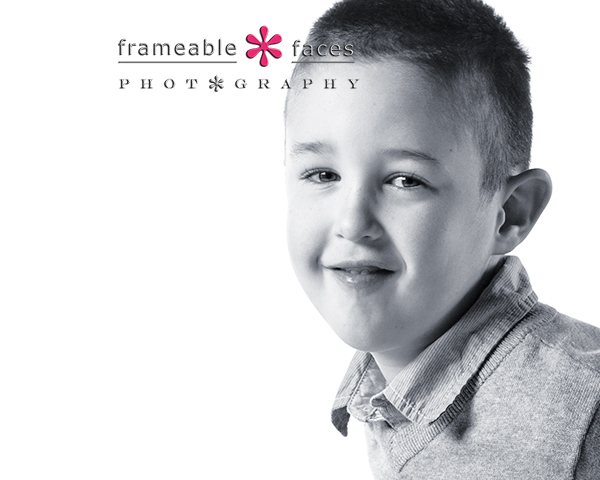 If it is known that an upcoming moment is going to be a potentially rare moment then it is the perfect reason to do family portraits. 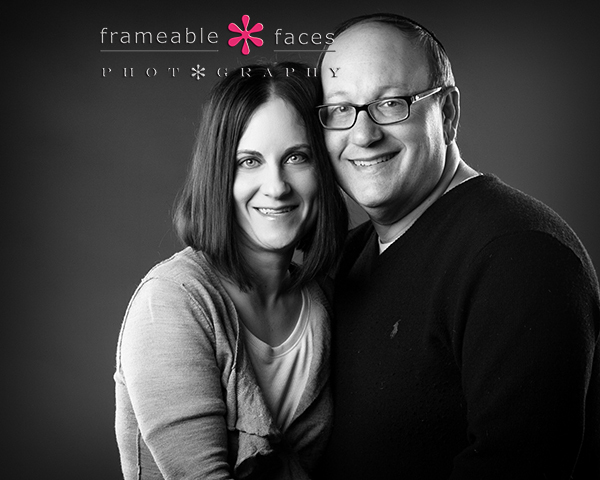 A milestone birthday or anniversary celebration, a holiday where out-of-town family members will be traveling here for a visit for example are strong reasons to get everyone together for a professional photo session. 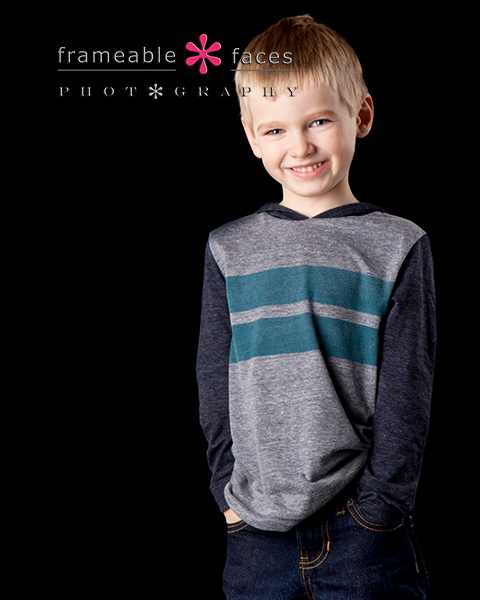 This session was special for this family because the oldest is now studying abroad and they wanted to get some family photos before he left the country since it is going to be a little while until they are all together again. 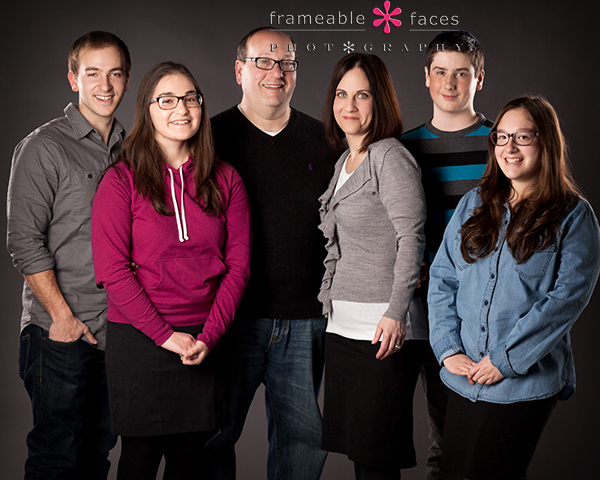 Next we brought the whole family into the picture. Shimmy is the oldest and we photographed him for his high school senior pictures – what a great kid – we really enjoyed our time with him and we were happy to have the chance to wish him well in his travels and studies (that is him below on the far left). We were also excited to have the whole family here and have the chance to meet the other siblings! Here is the fun behind-the-scenes vine from the session! 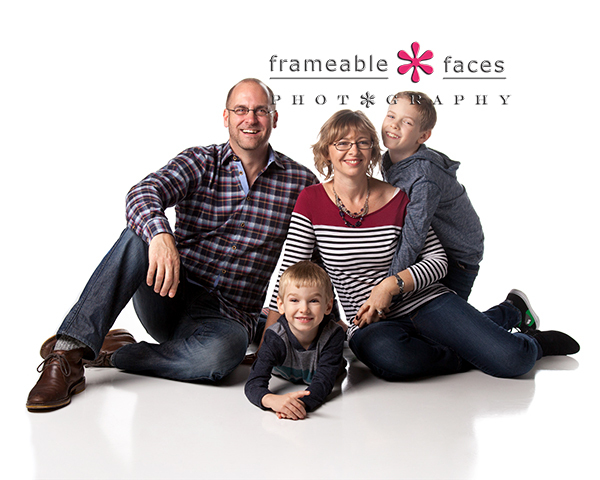 Well look here – what a lovely family! 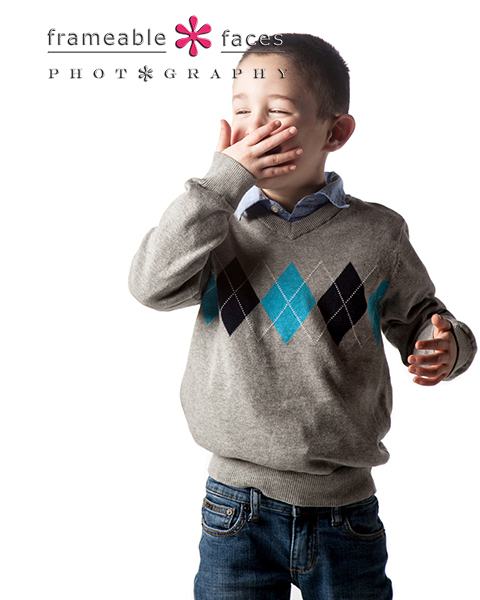 We had a great time with this wonderful family and we hope you enjoyed the sneak peeks from the session! 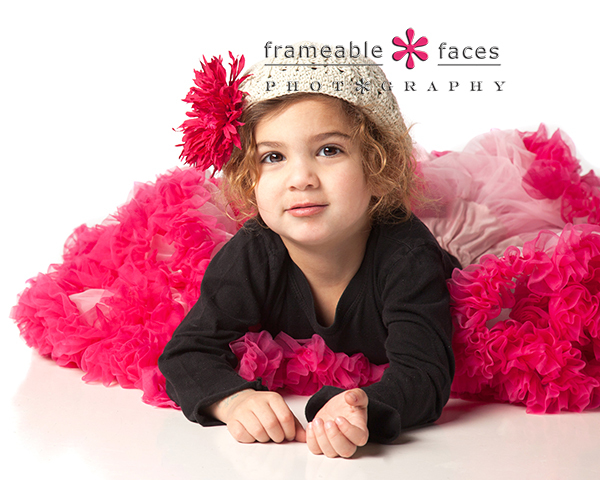 Ally’s Niece Gets Her Turn In The Spotlight! Hi it’s Ally here! It’s pretty rare that I write blog posts – I usually let Doug do that because I think he just does it better. But this time, I had to take his job over. 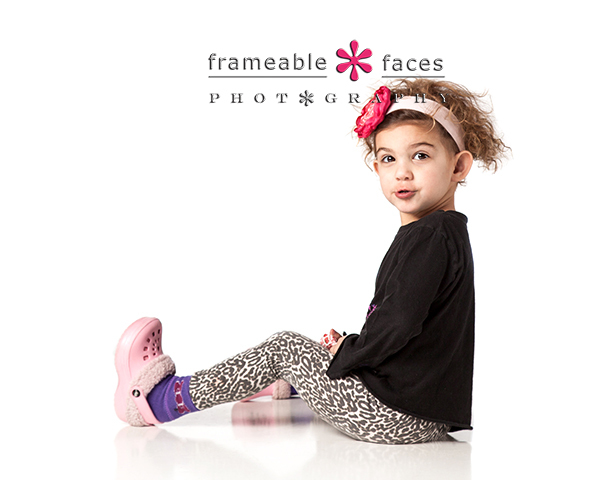 Just for a bit…..
See, this is my niece. She is three and I affectionately call her my “demon baby.” I don’t call her a demon because she is BAD per se, but because from the moment she was born, she has just been very strong willed and opinionated. She just plain cracks me up. Remember that poem, “There once was a little girl, who had a little curl, right in the middle of her forehead.” Well, that’s my demon baby. When she is good, she is very good (and crazy sweet!) But when she is bad, she is horrid!!! But she is the kind of “horrid” that makes you laugh! She is so funny!!! 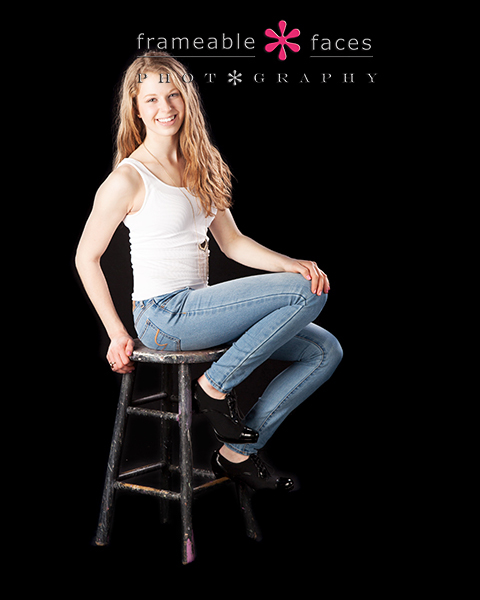 This was just a mini impromptu photo session with her and I think she did pretty well! Except that we did get into a little fight. 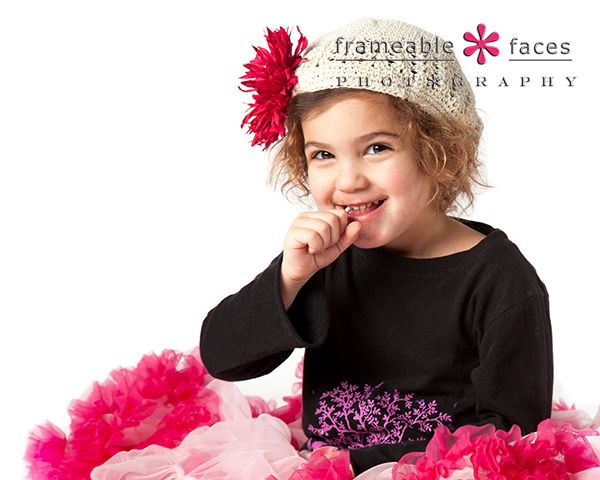 I wanted her to wear the pretty blue sparkly hat with the pink flower. Or even the silver hat! But NOOOO….she wanted to wear the simple beige hat. I guess sometimes you just need to pick your battles. And heaven forbid we put down the sucker for a minute!!!! At least she is cute!!!!! And who knows!? 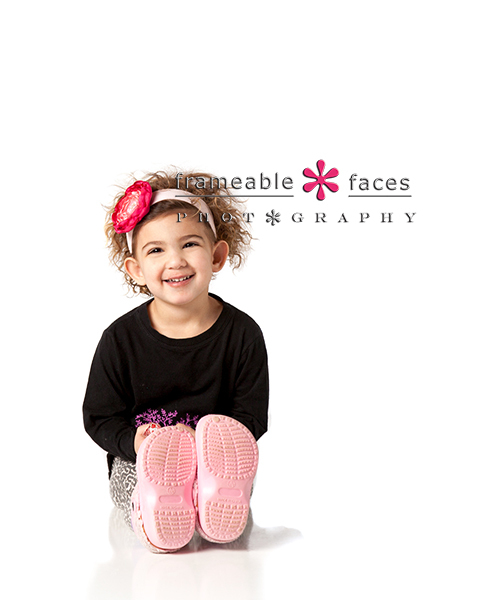 We have photos of her big brothers in the studio. 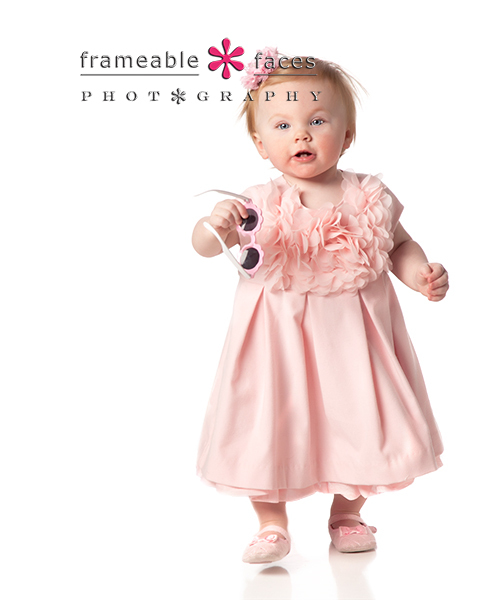 Maybe it is time for the demon baby to make her public Frameable Faces debut too on our wall somewhere! It will be so hard for me to pick a favorite though. There are just too many yummy delicious images to choose from! So, Frameables, meet my most favorite, prettiest and sweetest “demon.” Enjoy her deliciousness!!!!! 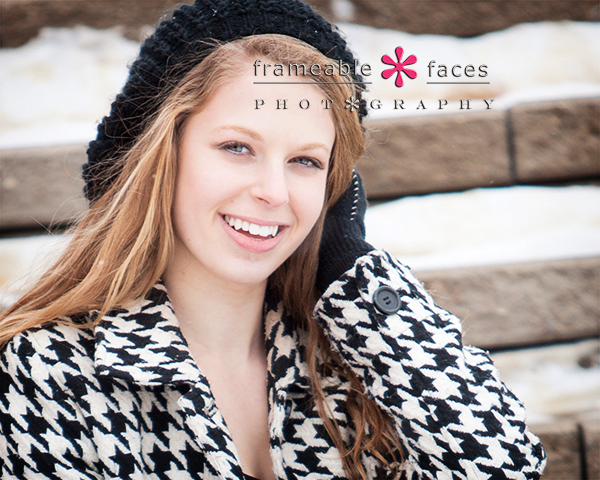 Kicking Off Our ’15 Spokesmodel Sessions With Eden! 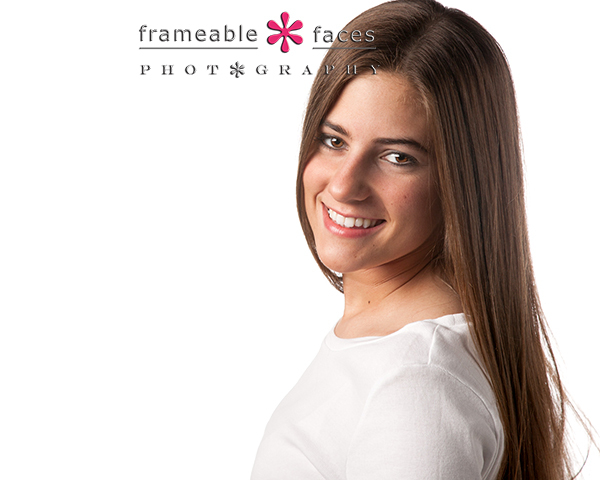 We are so excited to present a few images from our first high school spokesmodel session of the class of 2015! 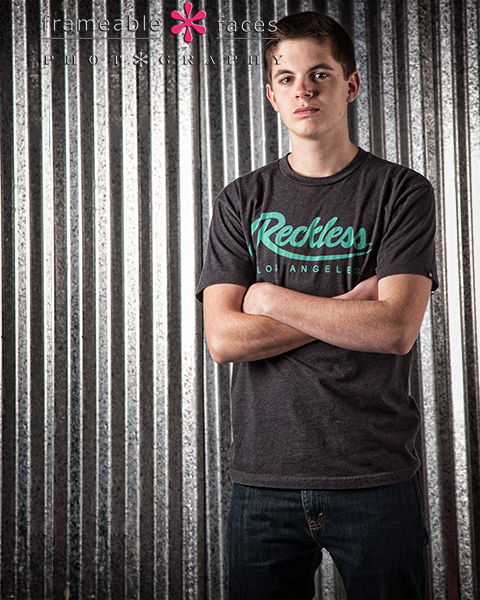 Every year we have a handful of students from the local high schools who represent our studio, and here is a flashback link to a video from the spokesmodel sessions of the current seniors of the class of 2014! We have enjoyed the time we have spent with them and we love following their senior campaigns! 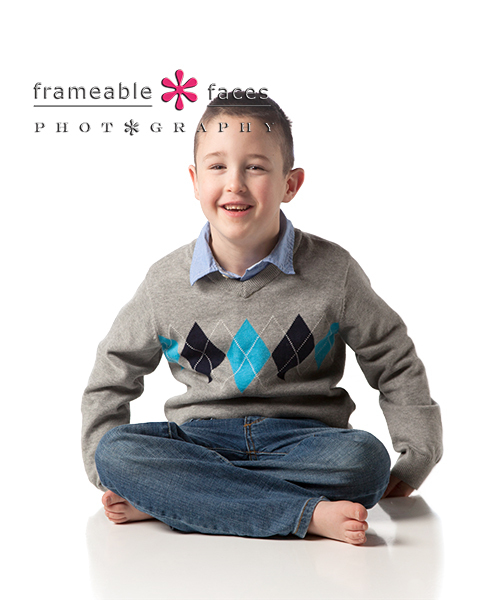 We recently added a new backdrop and we wanted to experiment with it a little, so we moved to that one next. You will likely see this one a few times over the next few weeks as we play a little with different clothing combinations and different seniors. 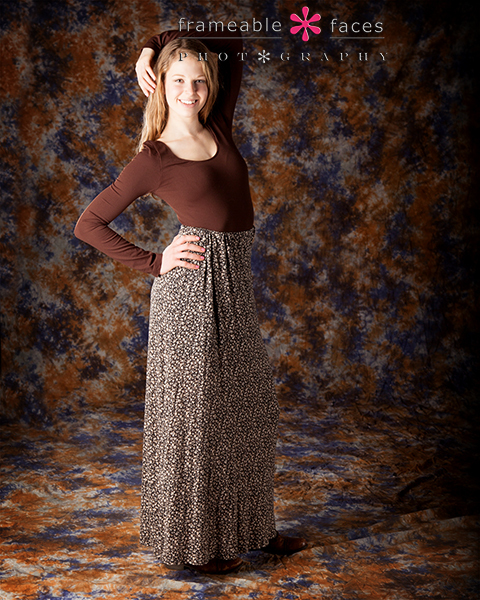 We like this one with the Earth tones – Eden wearing different browns against the mustard and the pops of blue. She looks beautiful! UPDATE – new version of WordPress released today (1/24/14) so here is the vine! 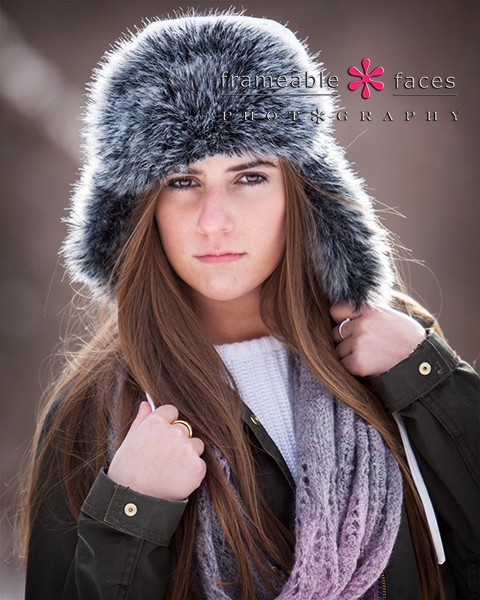 Meanwhile this winter is proving to be brutal – bitter cold and tons of snow, so we anticipate more spokesmodel images like these next two photos over the next couple months if it keeps going like this. The flip side of the cold and snow is that it makes for beautiful pictures! We love these two of Eden! So pretty! This was clearly a great start to the class of 2015 and we are in for an amazing year! We can’t wait. 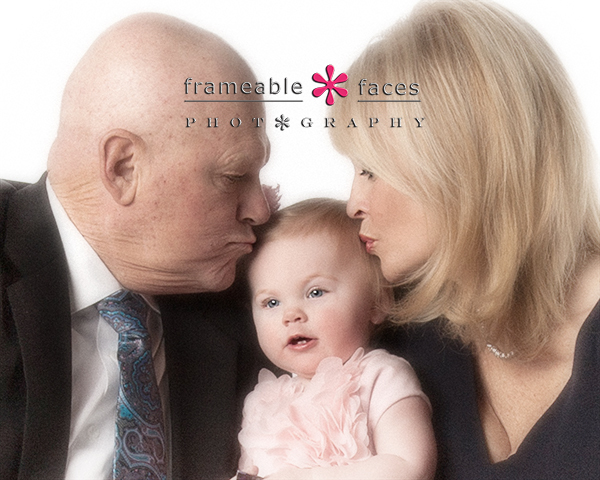 Pretty In Pink….and With Grandparents! More people should do this type of session! 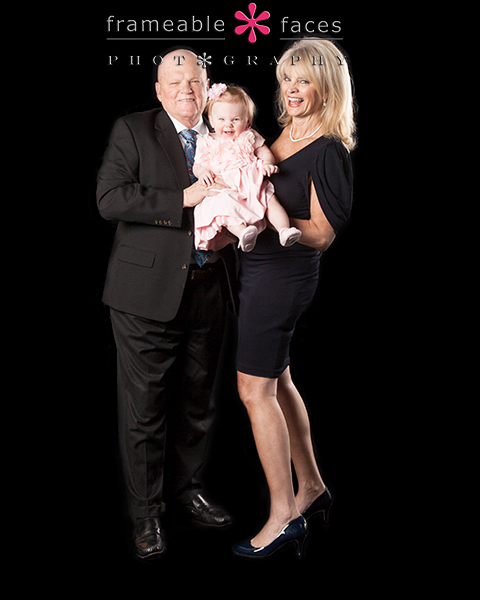 It is just really nice for a couple to have photos done with their grandchildren, and for these two they were thrilled to be here with their first grandchild and to have a session with just the three of them together! Everyone got dressed up in formal wear and had a blast – you can tell how happy they all are in these photos – the joy really comes through! Finally our true little star of the show got her closeup – it’s important to accessorize… 🙂 Enjoy! 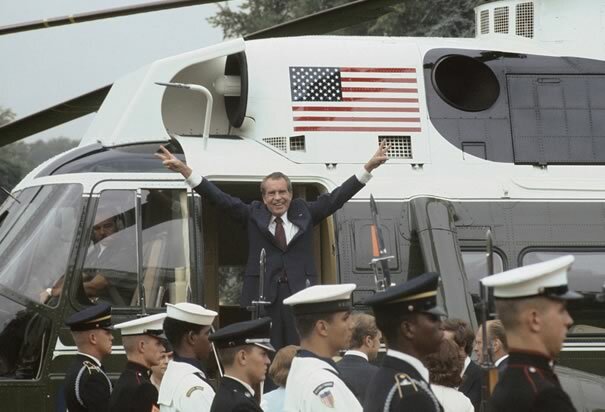 I really enjoyed writing my post Fascinating Photos of American Presidents and was thrilled that so many people enjoyed it, so I decided to follow it up with a part two! Here is another round of fascinating photos of our Commanders-In-Chief! Speaking of chiefs, from what I can gather this was likely a proud moment personally for Calvin Coolidge when members of the Sioux tribe honored him in 1927 for his friendly policies towards Native Americans including granting them U.S. Citizenship with the Indian Citizen Act of 1924. Chauncey Yellow Robe, a descendant of Sitting Bull was the one who suggested Coolidge be inducted into the tribe. 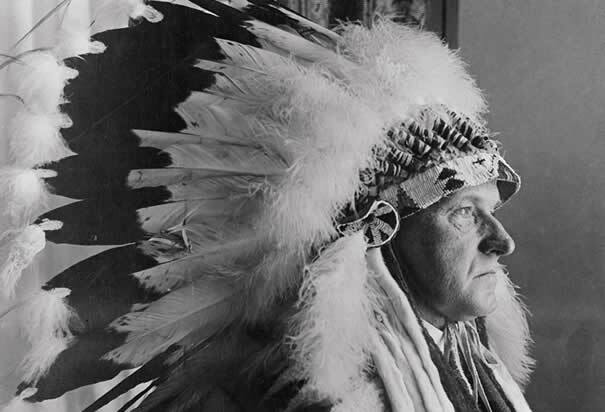 At the Sioux ceremony in North Dakota in 1927, President Coolidge is seen here in a grand ceremonial feathered headdress given to him by Sioux Chief Henry Standing Bear. It still wasn’t all roses for Native Americans during Coolidge’s presidency as not all oppressive policies were reversed, but it seems President Coolidge felt a moral obligation to do what he could. I’m partial to photos of Presidents just being dads and this is another gem I came across. 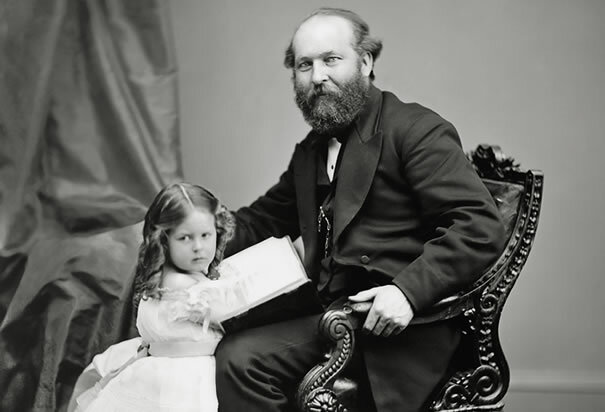 Most photos of President Garfield show him with a serious expression but I swear I detect a proud smiling in his eyes here. 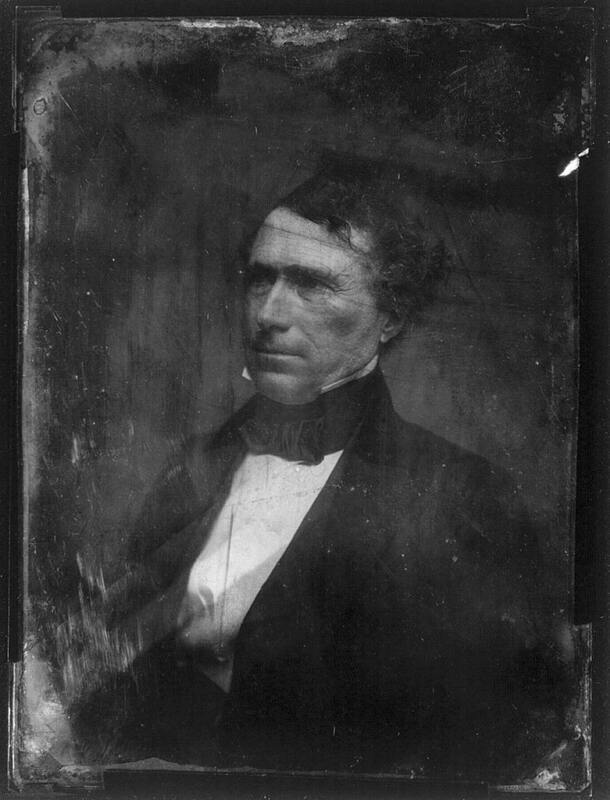 This photo was taken about a decade before he became president in the early 1870’s. 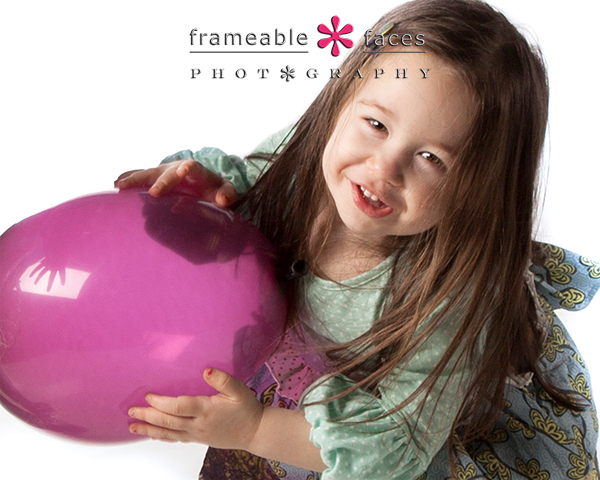 He may not be flat out smiling here but how can cute little Mollie Garfield not make you grin? Proud dad! I love it. 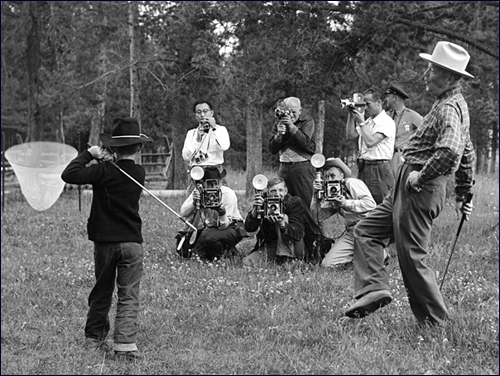 President Eisenhower was an avid golfer and here he is enjoying a wonderful (if not so private) moment giving a lesson to his grandson David. This photo was taken in Fraser, Colorado in August of 1955. Look at the corps of photographers! 6 of them plus however many there were shooting from our vantage point in this photo! I wonder how this was set up – were they all invited to come along for this photo op? Were they all from different news agencies? How far did they have to travel to get this very important photo? You know the first family lives under a microscope today but this clearly is not a completely new phenomenon as this photo would imply. President Taft started the tradition of Presidents throwing out the first ball at major league baseball games and Woodrow Wilson was up next. 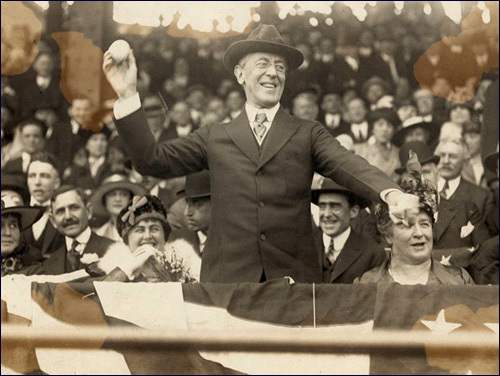 Here we see a vibrant and happy President Wilson throwing out the first pitch from his seat in 1916. In later years Presidents would start taking to the pitcher’s mound to throw the pitch in some cases with a baseball mitt and all. That coat! I want it. It is so cool looking and I bet it was warm! As I sit here writing this we’ve been hit by a snowpacolypse in Metro Detroit with well over a foot of snow and -14 temperatures and for some, 5 straight days of no school, so a good warm coat in this blog post is timely. Chester Arthur was seriously into his appearance and his style, and I am not just saying that as a personal observation based on this photo. This has actually been well documented and he was often called “Elegant Arthur” for the clothes he wore. C’mon you know this is cool. I deliberately picked photos of two recent presidents that put them in a favorable light – at opposite ends of the spectrum in terms of one being at a very heavy and somber moment and the other at a very light and fun moment. Bipartisanship has been ugly in recent years, but to me you can’t take away these moments for both President Bush and President Clinton regardless of your political tendencies. 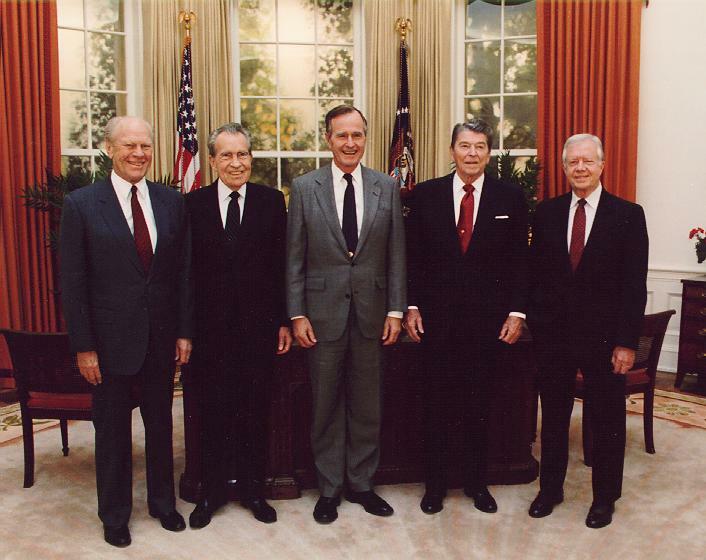 This blog is not a place to get political even if we’re talking about Presidents. 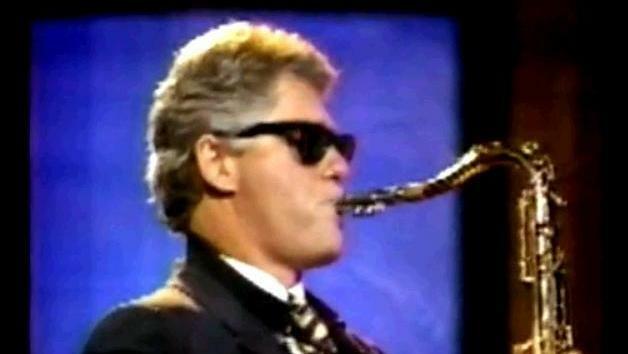 It’s totally cool for a newly elected president to go on late night television and jam with the band on saxophone. I’ll always think that was cool that he did that. If you don’t agree I say you’re just wrong, or just not that cool yourself. President Jackson was a complex man with a mix of villain as well as hero to many that isn’t easily reconciled or agreed upon, but his impact on the country can’t be denied. American Lion may be the most fascinating bio of a President that I’ve read yet. 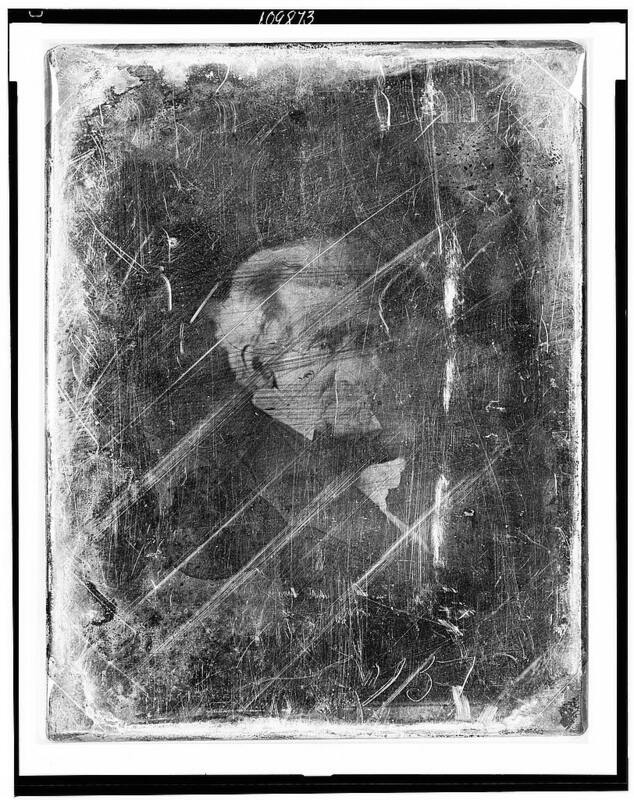 He was a classic tough guy but “Old Hickory” wasn’t exactly the picture of health for much of his adult life, and when photography became available towards the very end of his life several photographs were made of him and he doesn’t look good. You can find them online pretty easily but I am not sure if I had seen this one or not. It is hard to tell because the original is in such bad shape. Whether this photo has been restored to other versions that I have seen before I am not totally sure. I pulled this directly from the Library of Congress and I included it partly because the horrible state of a such an important photo is interesting in and of itself. I would like to know that part of the story – why wasn’t better care taken not to ruin it? I feel like this is a lesser known photo of President Pierce. This is another one of those early photos that is not in very good shape and I believe it was taken before he became president (not positive about that). 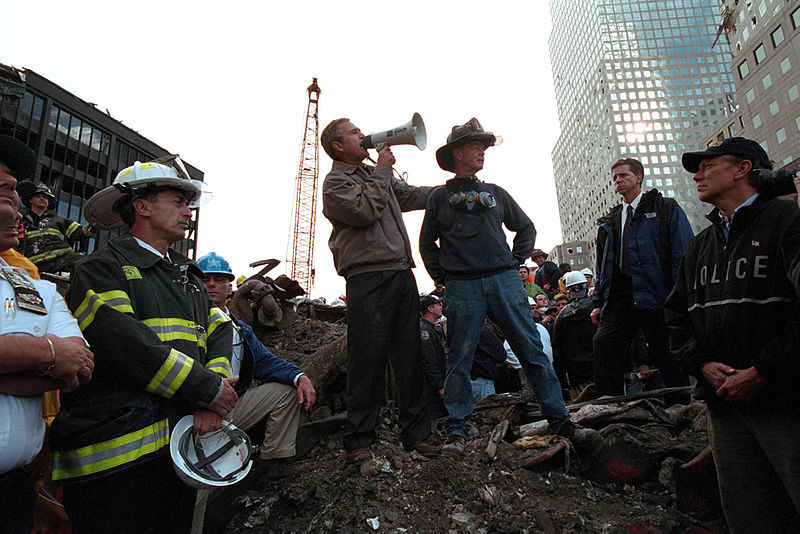 While there isn’t much about this photo that distinguishes it beyond that, I have a soft spot for President Pierce because of the awful tragedy he suffered. 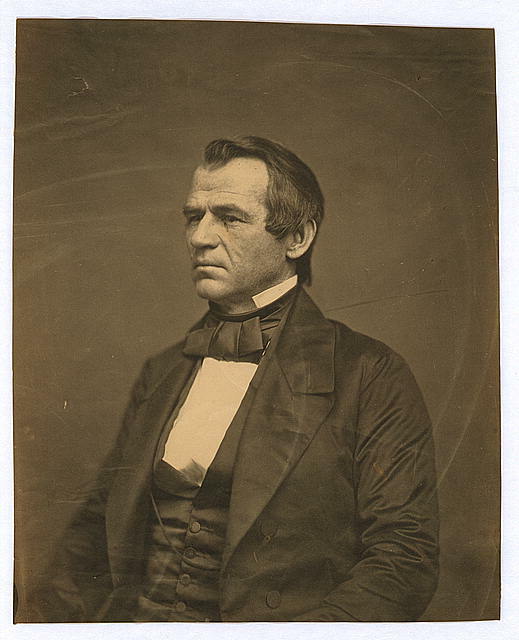 He had three sons who all died in childhood, the third – Benjamin, died right before Mr. and Mrs. Pierce’s eyes in a train accident at the age of 11 between the time of the election and the inauguration. He and his wife Jane never really recovered. How could they? I can’t imagine…. 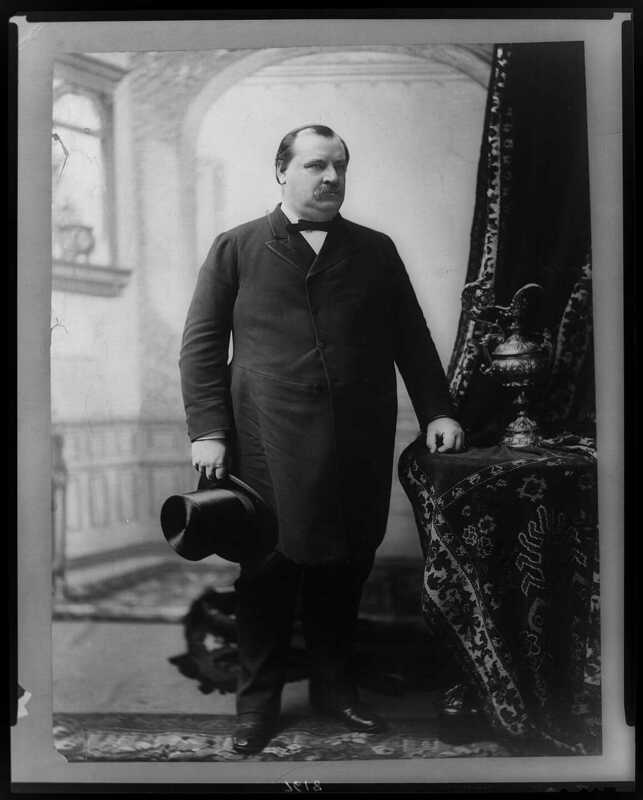 I love this full length photo of Grover Cleveland. I will be getting around to studying him soon and there is a book in particular I have my eye on called The President Is A Sick Man. Much is made of President Taft’s size but President Cleveland looks like a big and imposing man to me. At 5’11” he was still tall for the late 19th century. Everyone knows that he served two non-consecutive terms but do most people stop to think about that? I would say this guy was a pretty dominant figure for his time and we don’t seem to hear that much about him. My initial take is that he was quite a principled no-nonsense man who just put his head down and worked. 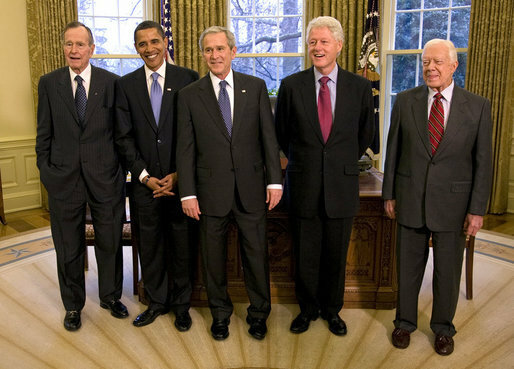 I love the camaraderie of former presidents. What a photo! What a fraternity. Proud and (I believe) genuinely happy in each others company – makes me want to put this on my wall. …and the more recent version. Awesome! Old Friends, Fun Brothers, Fun Family! @bradvesprini and family are here today!!! Awesome. I won’t bore you (or embarrass my buddy) with any old college stories – for now we’ll just mainly focus on the two great kids they have. 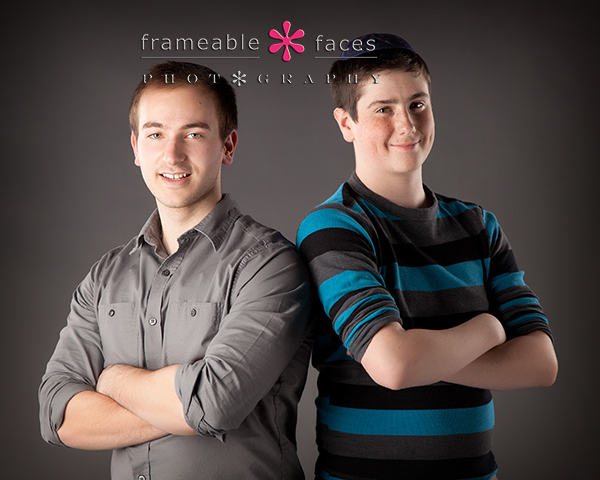 We had a blast with them and they did a great job posing, smiling, and just being brothers having fun. Enjoy!